Finding the Best Camera For Instagram is like finding a needle in a haystack. As a mere Google search might tell you, the options are unlimited while choosing the top rated cameras for selfies. However, as our experience might testify, not all these point and shoot cameras will suit your needs. That is where we come into play. After testing more than twenty cameras, we have prepared a list of the best seven of them. What’s more, in addition to decorating your Instagram with brilliant images, these cameras will do the job in low light as well. That is, no matter what the background is, the below mentioned camcorders will never leave you wanting for more. Have doubts regarding our claims? No worries. Just start scrolling down. Instagram has become our diary in which everyone is invited to look and see what we are up to. We often post pictures to our account of what we are eating, doing or where we are currently hanging out. Below will be a list of the amazing camcorders that you can choose from to have that gorgeous looking Instagram feed. If you want a gorgeous Instagram feed, your search ends here. While its brand name is enough to raise eyebrows, it is the features of the Canon Powershot G7 which have resulted in it selling like hot cakes. This Canon PowerShot G7 X Mark II is also loved by professional photographers because of the stunning Instagram photos and amazing video quality that it can deliver considering its price. Whether you are a casual Instagrammer or a professional photographer, the 1-inch sensor of this camera is enough to satiate your appetite, better quality image, especially in low light. In addition, it increases the range of sceneries where you can take a perfect photo. The camera is equipped with a 20.1mp CMOS that captures pictures in different aspect rations without losing its angle of view. Moreover, if you want something extra from your camera, the WiFi and NFC connectivity offered by the G7 is more than enough. Regardless of your location, both these features make uploading and share pictures to your Instagram super easy. As a professional photographer, I am very impressed with the image quality of this camera. The Canon G7X Mark II has everything that I am looking for; it’s a total package. The major drawback is the battery; you will need an extra battery for it. Some users have complained about the limited zoom range of this camera. Others found the 1080p video capture too limited. In conclusion, if you are looking for a camera that is the best for selfies and also operates seamlessly in low light conditions, go for the G7. Fujifilm is undeniably one of the biggest names in camera manufacturing business as they have been satisfying their worldwide customers with their quality cameras. Doubt our claims? Read the features to decide for yourself. Most of us always want a camera that is compact because it requires less storage space. The XT-10 is the right one for you. Being 6mm wide and 7mm tall, it won’t require much storage space at all. The compact design of XT-10 doesn’t mean that it will give a plastic feel. For, in stark contrast to its counterparts, it has used a magnesium alloy shell which gives it a tough, expensive feel. Hence, while it isn’t weather proof, it is still sturdy enough to handle some abuse. With its retro design, high-resolution automatic viewfinder, amazing image quality, and appealing control system, there is no denying that this camera has everything that you want for in a compact camera. This camera is also equipped with tilting LCD that enables you to take amazing selfies easily and also maintained its adored film emulations. Turning our attention towards its performance, one thing which surprised me about X-T10 is the fact that it gives 100% coverage. Hence, if you are fed up of having to deal with dark spots on the corners of your images, the XT-10 will get you out of this awkwardness with aplomb. This camera is very affordable for non-professional photographers, and it lets you take a stunning high-quality image with ease. Carrying it around won’t also be a problem because it is small and compact and can easily fit inside your bag. A very nice camera that takes amazing pictures and incredibly good action shots and video in total. Video quality is not good. Everything is in place, and you will not have a hard time in looking for anything even with the camera to my eye. It’s small size and lightweight and is perfect for shooting concerts, hiking or taking nature shots. One thing which users lamented about this camera was the lack of NFC. Despite the fact that it has a built-in Wi-Fi, the absence of NFC makes pairing up phones a little difficult. Talking about good cameras for selfies, not many come at the price as this one. So, if you are looking for a camera which offers high-end performance at a competitive price, go for the X-T10. Being the best seller on Amazon, this camera has become a darling of photographers. What’s more, its price is so less that you won’t believe that Sony made it. Sony has always been one of the leading brands in cameras. Even the cameras in their smartphones are superb and are much loved by their consumers, no wonder their Sony Alpha A6000 is a big hit to camera enthusiasts and photographers. Starting from the grip, we couldn’t help but congratulate Sony on giving this camera a more pronounced grip. The texture is also nice, giving this camera an air of expensiveness despite the fact that it is one of the less priced options from Sony. As for the shooting experience, the two manual dials – which sit atop the camera, make taking images a cinch. Instead of freeing up more room on the camera, they allow easy, one-handed grip, making accidental setting changes less likely. The Sony Alpha A6000 has a 24mp CMOS sensor that takes stunning and high-quality stills. Taking selfies is also convenient with this camera because of its tilting LCD screen and built-in flash. As for the performance, Sony never let their fans down. In order to make the colors wonderfully saturated, this camera has the “Picture Styles” option to let you adjust your colors. More importantly, even if you select the Picture Style, there will be a raw version of image available in case you need it. Also, if you are fond of shooting in low lights, the camera won’t disappoint you. It may take a bit longer to adjust, but, the focus will be clear even in low light. It is equipped with Wi-Fi and NFC connectivity which enables you to download the pictures you’ve taken to your smartphones. Sharing the pictures to your social media accounts will be done conveniently because of this. It is a small camera that you can bring anywhere you want and won’t take up so much space in your bag. Taking quality Instagram photos will be easier than ever because of its size and grip, which enables you to hold with one hand conveniently. One of the best cameras for Instagram I have ever used for an affordable price. I am having a hard time grabbing the SD card because it is placed the battery case right against the door. The battery eats like crazy! Even though, some users were not satisfied by the fact that Sony took away the touchscreen. Other than that, users don’t have many complaints about this camera. Despite the fact that it has a few niggles, the A6000 is one of the best product ever to have come out of the Sony workshop. When you use a cameras long enough, you will come to know the reason why Canon is the market leader in this industry. Providing excellent quality, maximum control over images and a responsive touchscreen, it has everything to deserve your hard earned money. Canon EOS 70D is a point and shoot camera may be quite old but it still a great camera for travel bloggers and Instagram users as its features are still competitive with the new cameras today. This camera is great for photographers and videographers who want a high resolution and accurate autofocus in capturing videos. When it was introduced for the first time, EOS 70D created a lot of buzzes due to the 20.2million pixels. However, it’s true and more than that this technology enables a lot of convenient functions, for example, faster focus both during video and Live view modes. With their Live view technology, the video recording experience on this camera is nothing but great. It is equipped with Dual Pixel CMOS AF for fast autofocus in live mode and video recording, which makes the camera’s video recording experience same as those with a camcorder. Thanks to the textured coating, the grip gives you a secure feeling. Also, both the dials as well as the buttons are sensibly arranged, giving you complete control over the camera. While you are swiping from one image to another in the review mode – or checking the sharpness of an image via the pinch-zooming mode, the responsiveness of this camera will allure you. Its 20.2 MP APS-C CMOS sensor and DIGIC 5+ image processor ensure that the quality of the pictures taken are superb and are Instagram-worthy. The only disappointment in this camera is the picture quality in low light condition as the camera does not work well in low light. 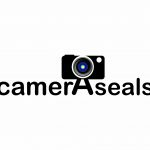 Highly recommended to anyone who is looking for a good quality DSLR. The image using the viewfinder is so much darker than the actual image. Amazing camera, a good buy. If you are an enthusiast photographer, this is a well-rounded camera that deserves your attention. Being the successor of A6000, it was a tough act for A6300 to replicate the performance of its predecessor. Thankfully, the fact that this camera makes it into this list is suggesting that the camera has come out with flying colors. Have some apprehensions? Let the features of A6300 take care. As you can tell, the first thing you will notice when holding the camera for the first time is its design. It won’t disappoint you. A powerhouse camera from Sony with an affordable price and a candidate as one best camera for Instagram bloggers, and social media users. The camera has a 24.2MP APS-C Exmor CMPS sensor that ensures accuracy and high image quality. A plus point for its brilliant EVF. Though not earth shattering, the 2.4million resolution dots will allow you to preview images while taking burst shots. Therefore, it will help your Instagram photos to be brighter. Also, the speed of this camera is incomparable. If you want to know, it takes 1.4seconds for you to go from off stage to capturing your first shot. Hence, when it comes to shutter lag, the A6300 has literally none of it. It has a new 4D focus system that claims the world’s fastest autofocus acquisition time and can lock focus on the subject at 0.5 seconds. It also has a high-speed, nonstop shooting with AF/AE tracking at high speed up to 11fps. Sony Alpha A6300 is equipped with an enhanced operability and ergonomics. There is now a shutter release button and a mode dial that makes the shooting experience even better. It is also equipped with Wi-Fi, NFC and QR code for an easy transfer of files from the camera to your smartphones and other gadgets. Finally, one feature which makes it best camera for Instagram users is its hinge – allowing you to tilt it both up and down. A “jack of all trades” camera. The best camera for Instagram with an affordable price. You will need an extra battery for it to last for a day. That said, one thing which left us unease was its manual control dials. It contains two of them: one on the top plate while the other around the D-pad. Even though, the former is easy to access, the latter isn’t. Although the manual controls aren’t up to our expectation, the A6300 has plenty of features to make up for this shortcoming. The best feature that makes this camera find a place in the list of best cameras for Instagram is the zoom power it can provide. It has a 16MP sensor that can allow you to capture stunning photos to upload on your Instagram account. Another striking feature of this camera is its 2000-mm optical zoom, which we feel is enough for splendid photography. It also has a high-resolution Electronic Viewfinder, which turns on automatically when you lift it to your eye. If you plan to carry your camera all day long while hanging around, Nikon cool pix 900 could be a great choice as it comes with a battery that lasts more than 360 shots after each charge. The photos and video output are also clear without any distortion even at full zoom. This camera also comes with NFC support and a built-in Wi-Fi, which will allow you to share photos instantly using compatible devices. With a built-in GPS, Nikon Cool Pix 900 allows you to track your journey and share it on google maps. Keeping in mind these features and the lower cost, it is a best cameras for Instagram from Nikon you can have to capture great snaps for your account. Customers who have used this camera have loved the precision quality and the clarity of pictures. They have also appreciated the GPS and other features that make this camera a great accessory to have while going out. PANASONIC LUMIX FZ80 is the best camera for Instagram you can have for your social media. It is quite handy and easy to carry. It can also allow you to shoot high-resolution images. Moreover, the advanced technology used in the manufacturing of this camera would enable you to shoot at the rate of 4k 30fps. Another feature we loved about this camera is it has 18.1 MP sensor that captures photos that will leave the viewers spellbound. The machine has an optical image stabilizer and the lens can zoom 60x without creating any distortion. It focuses accurately and fast, which, we feel, is a remarkable feature to have when you want to capture fast-moving objects. This camera also has a long-lasting USB in the camera battery. The low-light performance is good enough to help you capture photos with great quality and detail. We particularly liked the post-focus feature, which allows you to reset the focus after you have taken the image. The lower price of this camera is another advantage that sets it apart amongst most other best cameras for Instagram. The overall response of customers about this camera seems positive. They have expressed satisfaction over the features such as post focus and low-light performance. Choosing the good camera for travel or your Instagram social media should be done with careful consideration of the little things that differentiate the cameras from each other. It’s the little things that matter especially in ways the cameras are being used. Different cameras are right for different usages. There are cameras that are for professional photographers to use, and there are also those that are perfect for non-photographers like you who just want to take stunning stills and achieve a blogger style Instagram channel. If you are having a hard time in choosing which camera to buy, here are some important tips that you can follow. This might help you in deciding the best camera for Instagram to buy. The weight and size are two things that you should consider if you want a camera that you can easily carry around while you are going around. It should not be too heavy, and it should not be too big or small so you that you can easily take good pictures even with just one hand. The image quality should be on point, and there should be less noise in low light conditions. A great point and shoot camera will still be able to deliver stunning pictures even in low light conditions. An intelligent auto mode and amazing autofocus is big plus especially if you are not very experienced with camera tweaking. This will help you in taking stunning pictures even when you are not very familiar with the camera controls, ISO settings, and dials. What are you going to do next after buying a camera? 1) Read camera manuals or watch tutorials – Learning always starts with reading. So if you want to get to know your camera well, you have to read its manual. Start with its control buttons, then to its features. This way you’ll able to know their purpose and their proper usage. If you’re not a fan of reading, you can always rely on a good tutorial online. 2) Have fun and experiment – After familiarizing yourself to your camera, you’re now ready to take your camera outside point and shoot all you want! Test all of its controls first. Once you get used to it, you can have fun and experiment. A little tip: Try to shoot at different angles, this way you’ll identify the angles that are good to use for certain subjects or situations. Do these 2 simple tips and you’ll come home not only satisfied with the results, but with an improved photography skill as well. Standing out among the rest will be a piece of cake if you have the right camera for your social media with you. If you want to get noticed and you want to share amazing stills and video with your friends and families, buy the best camera for Instagram that you can use for it. From the cameras mentioned above, we choose Canon PowerShot G7 X Mark II on top as it is a very handy camera that is not only durable, but cost-effective and will provide you with high quality images and videos. You can also go with the other options available as each person differs in his or her preferences. For as long as the camera does the intended use, then there’s no problem choosing which one to go for. You can also discover the 8 trends to improve your Instagram and take your profile to a new level.